The International Criminal Court in Libya: a new leeway for fair trial concerns in determining the admissibility of a case. In the words of the Preamble of the Rome Statute, the International Criminal Court (ICC) was established to put an end to impunity for the perpetrators of the most serious crimes of concern to the international community. The ICC was conceived to prosecute individuals for crimes which were not effectively dealt with by domestic judicial systems, under the well known principle of complementarity. The Statute empowers the Prosecutor to request arrest warrants and summons to appear, and grants the accused the right to challenge the admissibility of the case. The practice of the Court has so far developed in an unexpected way. The ICC was able to play a role in situations of high political instability that was arguably outside the scope of its intended mandate. This is the case of Libya: a situation of grave international crimes perpetrated within an armed conflict that ultimately resulted in a regime-change. In this sort of situation, there is no risk that the alleged perpetrators be granted impunity. On the contrary, they rather risk to be subject to a victor’s justice that does not result in a trial respecting the basic international standards of due process of law. 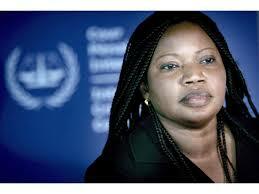 The ICC intervened in Libya pursuant to Security Council Resolution 1970 of February 2011. Upon the Prosecutor’s request, in June 2011 Pre-Trial Chamber I issued three arrests warrants, against Muammar Gaddafi, Saif Al-Islam Gaddafi and Abdullah Al-Senussi. Among other charges, the three individuals were accused of crimes against humanity for attacks against the civilian population taking part in demonstrations against Gaddafi’s regime. In October 2011, Muammar Gaddafi was killed in the battle of Sirte and his case was terminated. Following a Libyan challenge to ICC jurisdiction, the Pre Trial Chamber declared Saif Gaddafi’s case admissible, whereas it decided that Al Senussi be tried in Libya. In the latter case, Al Senussi’s Defence appealed to obtain a trial in front of the ICC, but the Prosecutor supported Libya’s arguments. As a result, the situation experiences a controversial overturn in the expected roles of the relevant subjects. On the one hand, the ICC Prosecutor does not seek prosecution, but to defer the case to the local judiciary. On the other hand, the accused appeals against his own State, to affirm that it is unable or unwilling to genuinely prosecute him, in a sort of challenge of inadmissibility. In affirming Gaddafi’s case admissible and Senussi’s case inadmissible, the Court analysed Libya’s willingness and ability genuinely to prosecute the two accused under various grounds. It is worthwhile to focus on the contribution of the case to the due process thesis, i.e. the idea that the ICC could determine a case admissible on the basis of violations of the accused’s right to a fair trial. Then Prosecutor Ocampo opposed the arguments based on due process concerns, stating that the Court cannot accept an admissibility challenge solely on the ground that the State’s procedures are not fully consistent with international standards of due process. Prosecutor Bensouda confirmed the same approach and expressly denied the possibility to challenge the Libyan willingness and ability based on fair trial rights alone. On the contrary, Senussi’s and Gaddafi’s defence argued that the Court should declare a case admissible if the accused does not receive an acceptable trial in accordance with the basic international standards of due process. The arguments against the due process thesis stem from the travaux preparatoires of the Rome Statute. At that time, the Italian proposal to include “full respect for the fundamental rights of the accused” among the criteria for deciding on issues of admissibility was rejected. This demonstrates that the drafters did not conceive the ICC as a human rights court. Furthermore, according to Art. 32 of the Vienna Convention on the Law of Treaties the travaux preparatoires are only supplementary means of interpretation. Relying on a textual interpretation of the Rome Statute, which is in fact the primary mean of interpretation of treaties, leading scholars have held that the due process criteria are not relevant to determine the admissibility of a case. However, the Statute arguably does not exclude the possibility for the Court to take fair trial concerns into account. Articles 17.1a and 17.2b of the ICC Statute are particularly relevant in this regard: according to the former, a case is admissible when the State of jurisdiction is “unwilling or unable genuinely to carry out the investigation or prosecution” whereas according to the latter, the willingness of such a State should be determined with regard to its “intent to bring the person concerned to justice”. The ambiguous reference to the ‘genuineness’ of the investigation or prosecution allows the Court to have a certain margin of manoeuvre in its findings. Indeed, the meaning of ‘genuine’ is neither further clarified nor elaborated in the text, in stark contrast to other potentially vague terms (such as unwillingness or inability) or other alternative words that were considered by the drafters (such as good faith). The Oxford English Dictionary defines ‘genuine’ as “having the supposed character, not sham or feigned”. This may allow a broad interpretation of the term that in fact might include due process concerns. The expression “to bring to justice” bears similar ambiguities. Indeed, it can be interpreted as the intention to bring a person to court and face a trial, or just to “hold a person accountable” or, as affirmed by some scholars, directly “to convict”. The first interpretation is arguably supported by the references to “principles of due process recognized by international law” in the chapeau of art. 17.2. The second interpretation could be supported by the wording of art.17.2a, specifying the ‘purpose of shielding somebody from criminal responsibility’ as an indicator of unwillingness to prosecute. Still, the ambiguity of the text does not hinder the Court from using the first interpretation, including due process rights in the textual concept of “justice”. In its decision on the admissibility of the case against Al-Senussi of 11 October 2013, the Pre-Trial Chamber emphasised that it is not just any alleged departure from, or violation of, national law that may form a ground for a finding of unwillingness or inability. The Chamber will take into account only those irregularities that may constitute relevant indicators of one or more of the scenarios described in article 17(2) or (3) of the Statute. In other words, the Chamber allows taking into account certain violations of national procedures, only in case those violations make such procedure inconsistent with the intent to bring the person of concern to justice. In its judgment on the appeal of Al-Senussi of 24 July 2014, the Appeals Chamber went further. First, it disregarded the determination of fair trial concerns in the case at stake: Taking into account the text, context and object and purpose of the provision, this determination is not one that involves an assessment of whether the due process rights of a suspect have been breached per se. Then, relying on an interpretation of the wording “to bring to justice” similar to the one mentioned above, it expressly recognized that a grave violation of due process rights of the accused can make a case admissible, although only in extremely limited circumstances whereby violations of the rights of the suspect are so egregious that the proceedings can no longer be regarded as being capable of providing any genuine form of justice to the suspect so that they should be deemed, in those circumstances, to be “inconsistent with an intent to bring the person to justice. In her recent report to the Security Council in November 2014, the Prosecutor seemed to have left room to the due process thesis: [A]s it concerns the trial of Abdullah Al-Senussi in Libya, […] The on-going violence and alleged threats to judges, prosecutors and lawyers do not augur well for a fair trial […] I will assess my options in due course, including whether to apply for a review of the judges’ decision up-holding Libya’s request that the case against Al-Senussi be tried in Libya. The plainest interpretation of the Rome Statute’s wording, as well as its travaux preparatoires, may not support the view that due process concerns are relevant to the admissibility of a case before the ICC. However, the Libya situation is requiring the Court to play a delicate and unexpected role. By opposing the Prosecutor in claiming a fair trial in the Hague, an accused has challenged the structure provided by the Rome Statute. Both the Appeals Chamber and the Prosecutor have affirmed the possibility to consider grave violations of fair trial rights in determining the admissibility of a case. By ceasing to disregard fair trial abuses in domestic courts, the ICC would better contribute to fulfil its purpose to enforce international justice. Art. 1, Rome Statute of the International Criminal Court. Draft Proposal by Italy, UN Doc. A/AC.249/1997/WG.3/IP.4, 5 August 1997. Next Next post: Lockerbie Affair and African States’ early support for the establishment of the International Criminal Court.